The University of Wisconsin System has a holistic admissions process that includes at least one personal statement. The flagship campus in Madison requires two essays. Applicants can apply using either the Common Application or the University of Wisconsin Application. This article addresses strategies for responding to the essay prompts. The main campus of the University of Wisconsin in Madison is the most selective of all the UW schools, and it has an application separate from all the other campuses. It also asks for two personal statements. If you apply using the Common Application, you will need to respond to one of the seven essay prompts. This gives you the freedom to write about anything you choose, for not only do the prompts cover a wide range of topics, but option #7 allows you to write on a topic of your choice. Consider something in your life you think goes unnoticed and write about why it's important to you. You have so many options here that you might find the essay prompt daunting. As you figure out what the "something in your life" is that you should write about, keep in mind the reason why UW-Madison is asking this question. 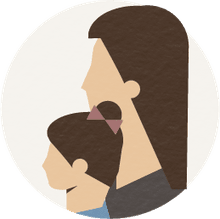 The admissions process is holistic, so the university wants to get to know you as a whole person, not just as a set of empirical data such as grades, class rank, and standardized test scores. Your extracurricular activities and employment history are part of the holistic portrait, but they don't tell the whole story. Use this prompt to explore something that isn't obvious from the rest of your application. If one of your jobs or extracurricular activities is particularly important to you, you could use this essay to explain why that is so (much like a typical short answer essay on the Common Application). Or you could use this essay to present a side of your personality that doesn't appear on your application at all. Perhaps you like rebuilding motorcycles, fishing with your younger sister, or writing poetry. Almost anything that's important to you is fair game here, just make sure you follow through and explain why it's important to you. If you fail to address the "why" of the question, you've failed to present the admissions folks a full window into your passions and interests. Tell us why you decided to apply to the University of Wisconsin-Madison. In addition, share with us the academic, extracurricular, or research opportunities you would take advantage of as a student. If applicable, provide details of any circumstance that could have had an impact on your academic performance and/or extracurricular involvement. UW-Madison has packed a lot into this essay prompt, and it might be best to view it as three essay prompts, not one. The first—why UW-Madison?—is typical of the supplemental essays for many other colleges. The key here is to be specific. If your answer could be applied to schools other than UW-Madison, then you're being too vague and generic. What specifically about UW-Madison appeals to you? What unique features of the university distinguish it from other places you're considering? Similarly, with the question about academic, extracurricular and research opportunities, be sure to do your research. Make sure you know what the university offers so that you know what opportunities you can take advantage of should you be admitted. UW-Madison is trying to make sure applicants are familiar with the university and can imagine themselves being active and engaged members of the campus community. When it comes to explaining circumstances that may have had a negative impact on your grades and extracurricular involvement, keep in mind that this part of the prompt is optional. As the article "Should You Explain A Bad Grade?" notes, you're not always doing yourself a favor if you make a big deal out of slightly off semester in high school. That said, if you did have a major disruption in your life—a significant injury, a death of a parent or sibling, divorce of your parents, or an ill-timed move to a different school—it can be a good idea to comment on the event if it impacted your academic or extracurricular record in a significant way. Please tell us about the particular life experiences, talents, commitments and/or interests you will bring to our specific campus that will enrich our community. The question is refreshing in its directness, for, in truth, it is asking what every college admissions essay asks—How will you "enrich our community?" Colleges want more than students with good grades and high test scores; they also want students who will contribute to campus life in a positive way. Before you write your essay or take part in a college interview, you'd be wise to figure out your own answer to the question. What is it that you will contribute? Why will the college be a better place because of your presence? Think about your hobbies, your sense of humor, your quirks, your academic passions... all of the features that make you you. Each of the Common Application essay options is really getting at this very issue. Whether you are writing about a a challenge you've faced, a problem you've solved, an important accomplishment in your life, or an important dimension of your life experiences, a good essay shows that you bring to campus the type of passion and personality that will enrich the university community. You have lots of breadth in choosing what to write about, but you'd be wise to steer clear of bad essay topics that often go astray. Also, don't just focus on what to write, but also how you write it. Pay attention to the style of your essay so that your narrative is tight, engaging, and powerful. Also be sure to follow the tips on the UW website. One important tip relates to your essay length. While the application allows you to write essays that are up to 650 words, UW recommends essays in the 300-500 word range. While you may be tempted to use the entire available space, you'd be wise to heed the university's recommendation and exceed 500 words. 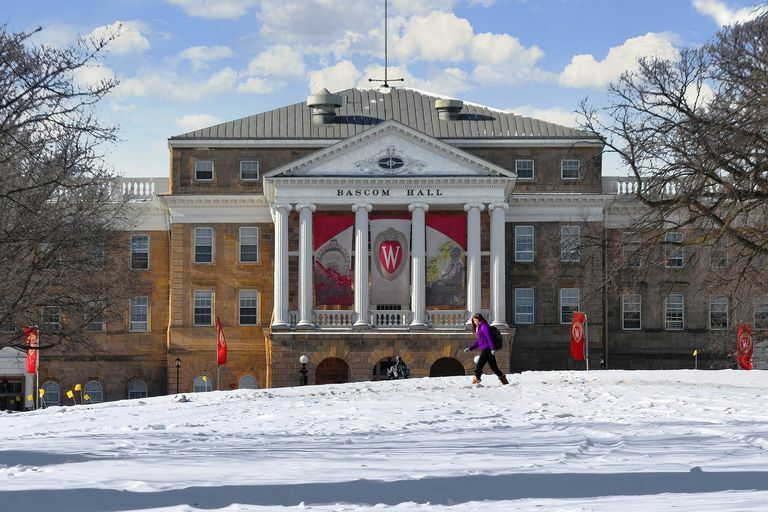 How Competitive Is University of Wisconsin's Admissions Process?